Matthieu Jalibert steps up to take the penalty goal but doesn't make it. Thomas Ramos converts the try. Leonardo Ghiraldini scores a try for Toulouse. Drop goal attempt from Jean-Baptiste Dubie has the distance but not the direction. Bordeaux Begles decide to make a substitution, with Geoffrey Cros getting some game time. Bordeaux Begles decide to make a substitution, with Fa'asiu Fuatai being replaced. Matthieu Jalibert does the business as his penalty goal attempt goes over. Bordeaux Begles make a substitution with Ole Avei coming on. Bordeaux Begles make a substitution with Adrien Pelissie coming off. Bordeaux Begles sub Marc Clerc comes onto the field. Vadim Cobilas departs for Bordeaux Begles. Thierry Paiva comes on for Bordeaux Begles. Peni Ravai leaves the field. Toulouse decide to make a substitution, with Joe Tekori getting some game time. Toulouse decide to make a substitution, with Gillian Galan being replaced. Toulouse make a substitution with Leonardo Ghiraldini coming on. Toulouse make a substitution with Julien Marchand coming off. Bordeaux Begles sub Alexandre Roumat comes onto the field. Leroy Houston departs for Bordeaux Begles. Thomas Ramos has kicked a conversion. Cheslin Kolbe scores a try for Toulouse. Penalty goal attempt from Matthieu Jalibert has the distance but not the direction. Clement Castets comes on for Toulouse. Dorian Aldegheri leaves the field. Matthieu Jalibert makes no mistake with that penalty goal attempt. Sofiane Guitoune (Toulouse) is shown a yellow card. The Bordeaux Begles supporters go wild as Matthieu Jalibert successfully kicks the conversion. Jean Pascal Barraque scores a try for Bordeaux Begles. The touch judges raise their flags as Matthieu Jalibert kicks the conversion. Metuisela Talebula scores a try for Bordeaux Begles. Matthieu Jalibert adds the two points for Bordeaux Begles. Yann Lesgourgues scores a try for Bordeaux Begles. Matthieu Jalibert does the business as his conversion attempt goes over. Adrien Pelissie scores a try for Bordeaux Begles. Thomas Ramos makes no mistake with that conversion attempt. Julien Marchand scores a try for Toulouse. Matthieu Jalibert kicks the penalty. Sofiane Guitoune scores a try for Toulouse. @WillyMaffey Sorry, but we don't have the rights to that one. 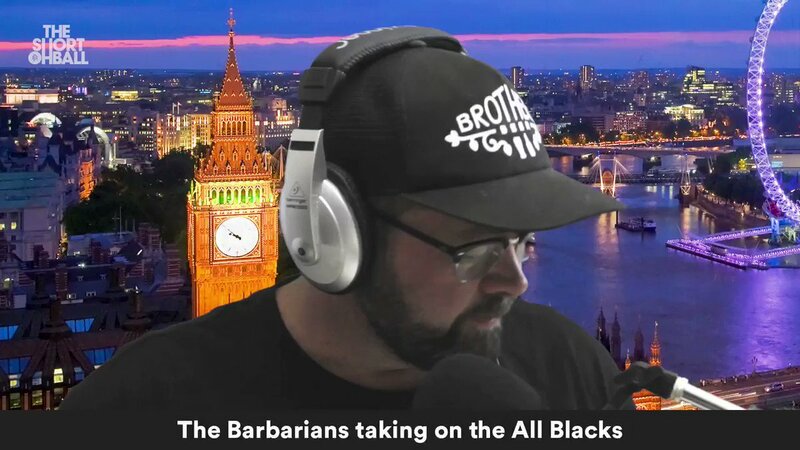 Barbarian FC v All Blacks is glorified trial match for the wider NZ squad. God bless Barbarian FC for still making jerseys you can fit a ball up. @SidsPubs @AllBlacks @Barbarian_FC No, afraid we don't have the rights.